Russia says it has submitted its bid for vast territories in the Arctic to the United Nations. The ministry said in a statement that Russia is claiming 1.2 million square kilometres of Arctic sea shelf extending more than 650 kilometres from the shore. Russia has submitted its bid for vast territories in the Arctic to the United Nations, the Foreign Ministry said Tuesday. 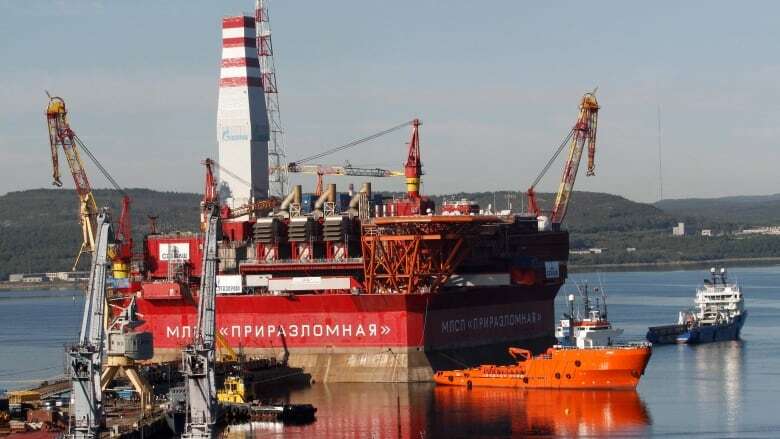 The ministry said in a statement that Russia is claiming 1.2 million square kilometres (over 463,000 square miles) of Arctic sea shelf extending more than 350 nautical miles (about 650 kilometres) from the shore. Russia, the U.S., Canada, Denmark and Norway have all been trying to assert jurisdiction over parts of the Arctic, which is believed to hold up to a quarter of the planet's undiscovered oil and gas. Rivalry for Arctic resources has intensified as shrinking polar ice is opening new opportunities for exploration. 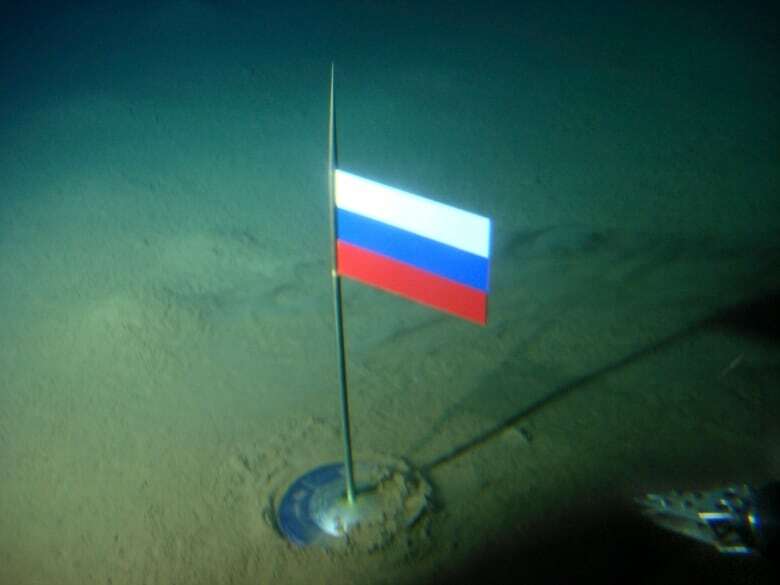 A titanium capsule with the Russian flag is seen seconds after it was planted by the Mir-1 mini submarine on the Arctic Ocean seabed under the North Pole in 2007. (Association of Russian Polar Explorers/AP)Russia was the first to submit its claim in 2002, but the U.N. sent it back for lack of evidence. "The melting of the Arctic ice is uncovering a new and vulnerable sea, but countries like Russia and Norway want to turn it into the next Saudi Arabia," Greenpeace Russia Arctic campaigner Vladimir Chuprov said in a statement. "Unless we act together, this region could be dotted with oil wells and fishing fleets within our lifetimes." Amid tensions with the West over Ukraine, the Kremlin also has moved to beef up Russian military forces in the Arctic. The effort has included the restoration of a Soviet-era military base on the New Siberian Islands and other military outposts in the Arctic. Russian officials said the facilities are crucial for protecting shipping routes that link Europe with the Pacific region across the Arctic Ocean. Earlier this year, the military conducted sweeping manoeuvres in the Arctic that involved 38,000 servicemen, more than 50 surface ships and submarines and 110 aircraft. As part of the drills, the military demonstrated its capability to quickly beef up its forces on the Arctic Novaya Zemlya and Franz Josef Land archipelagos.